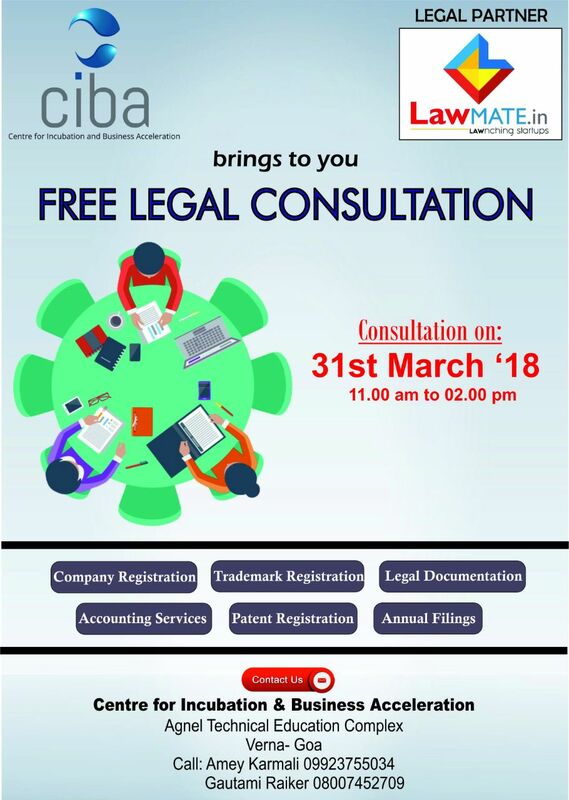 Get free consultation from Ms. Gautami Raiker at CIBA Verna on 31st March 2018. LawMate.in is the Legal Partner to Centre for Incubation and Business Acceleration. Get all your business legal queries resolved through one to one consultation.